Gainesville is a beautiful city in Florida, ranked as one of the “best places to live and play”. It had a population of 127, 488 in 2013, a 2.4% increase from the year 2010. The city is working fast to provide great facilities to all its residents and visitors, andone of these facilities is a constant supply of emergency dentists, which the city has successfully provided for the emergency requirements of its people. Emergency dentists are a life-saver when it comes to saving people from sudden, horrible toothache-attacks. 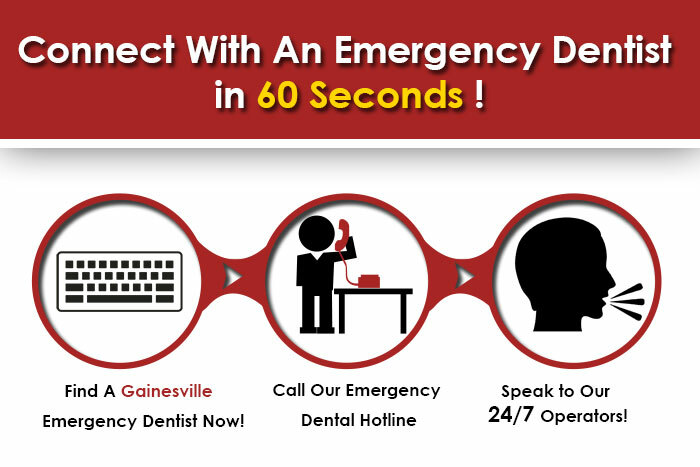 These emergency dentists have a range of professional doctors and trained employees, who take good care of emergency patients and help them get their beautiful smiles back. These dentists are just one call away from you. If you need them, call them at their helpline number or visit them directly at their clinics. Magnolia Family Dental is a family dental clinic that has been around for a long time. Dr. Twyla Roberts and her team of experts handle all patients with great care and patience. If it’s your first visit to their clinic, then first of all, you will get a comprehensive examination of your problem, necessary x-rays for an accurate diagnosis, and a detailed treatment plan that will help you recover from your problem permanently and make sure that it doesn’t return. They provide all kinds of dental help, starting from oral hygiene, dental cleaning, root canal, teeth whitening, etc. To contact them, call at 352-373-7361 or visit them at 4121- A NW 37th Place, Gainesville, FL 32606. Premier Dental Team is a centre for implant, cosmetic, reconstructive, and general dentistry. Their team of two- Dr. Ada Y. Parra and Dr. Justin C. Craighead, is a highly capable and learned one that treats every patient with individual care and support. Their philosophy of “patient-centered care” is one that they practice every single day! They take on limited appointments just to ensure that none of their patients are neglected due to work pressure, and that each and every patient gets full attention from their team. They maintain strict standards of cleanliness and sterilization and make sure that they thoroughly examine the patients before starting treatment. They offer all sorts of help, be it general, preventive, oral, cosmetic or even one-visit dental treatments. So why wait! Dial their helpline number, make an appointment, and see all your dental worries evaporate away. Their helpline is (352)-562-7162. You can also visit them at their clinic in 3720 NW 43rd St. Suite #102, Gainesville, FL 32606. Greenleaf Dentistry is committed to recreating beautiful smiles and good dental hygiene. They are a family dentistry, with a caring staff and a long experience of working with dental patients. They use BPA free equipments and are an environmentally conscious dental practice. They don’t use fluoride and mercury products for the betterment of their patients. They provide services of cosmetic dentistry, dentures, endodontics and root canal surgeries, oral surgery, teeth whitening, etc. Visit them at 4436 North West 23rd Avenue, Gainesville FL 32606 or call their helpline number at 352-376-3216.